Daily Illuminator: Time For Some Simon's Cat Game Days! November 3, 2017: Time For Some Simon's Cat Game Days! Like a cat that doesn't realize you're not a pillow, Simon's Cat Game Days have arrived to curl up in your lap! These events will happen during the first few weekends in November. Look below for an event near you to find out when it is! 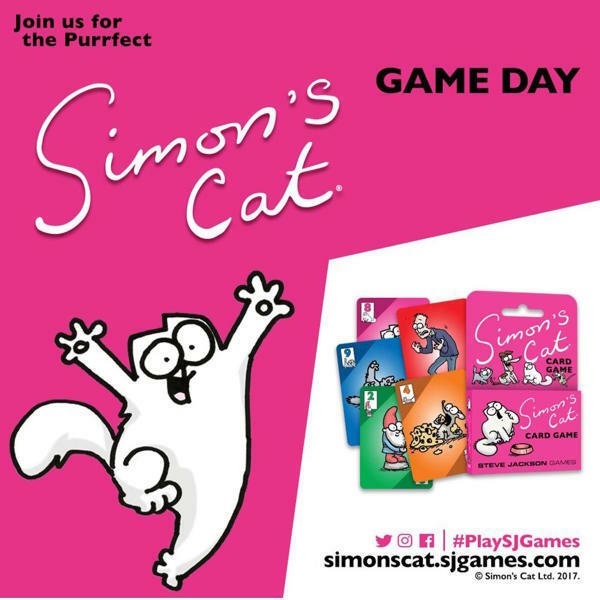 Each event will feature demos or full games of Simon's Cat Card Game, plus special promo cards – which we here at SJ Games are officially out of, so get them while you can.